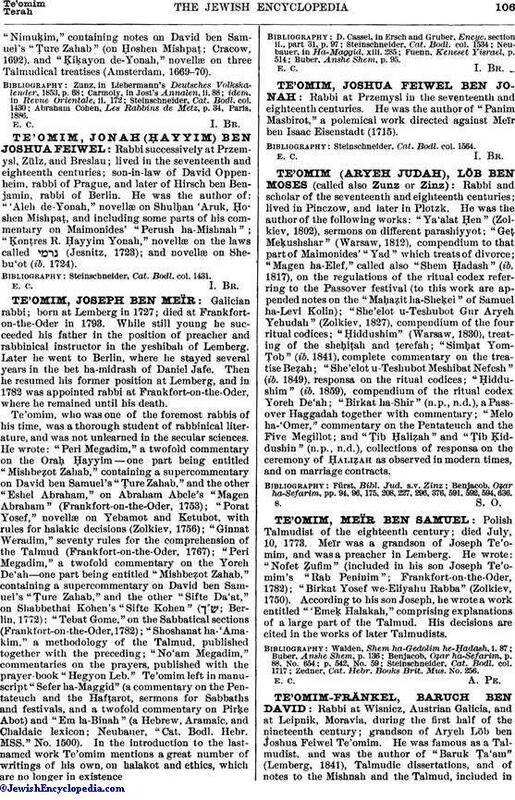 Rabbi successively at Przemysl, Zülz, and Breslau; lived in the seventeenth and eighteenth centuries; son-in-law of David Oppenheim, rabbi of Prague, and later of Hirsch ben Benjamin, rabbi of Berlin. He was the author of: "'Aleh de-Yonah," novellæ on Shulḥan 'Aruk, Ḥoshen Mishpaṭ, and including some parts of his commentary on Maimonides' "Perush ha-Mishnah"; "Ḳonṭres R. Ḥayyim Yonah," novellæ on the laws called (Jesnitz, 1723); and novellæ on Shebu'ot (ib. 1724). Steinschneider, Cat. Bodl. col. 1431.